Amazon doesn’t let you apply multiple credit cards to one purchase. This can be a problem when buying a high ticket item whose cost exceeds your available limit on one card. Probably not a good idea in general, but this happened to me recently when I wanted to use an American Express gift card. However Amazon does let you buy Amazon gift certificates with as many cards as you like in any denomination you like from $5 to $5000. 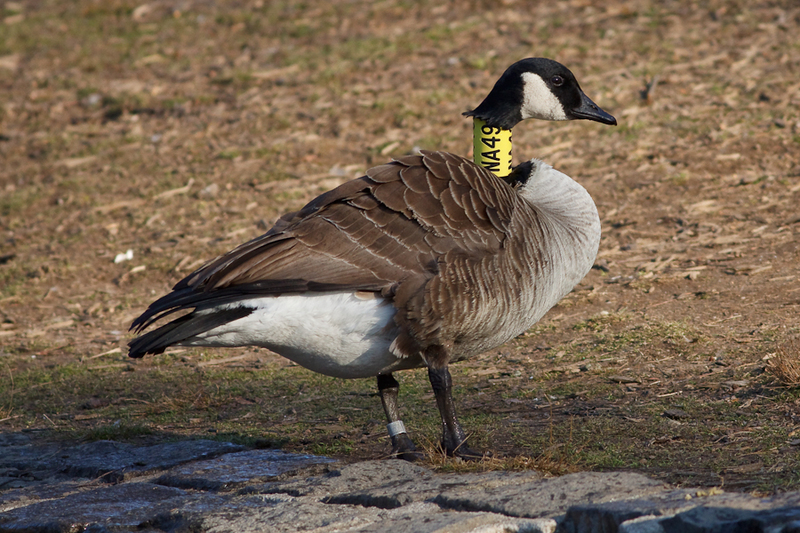 This morning I refound the banded Canada Goose NA49 that I first saw in September and that’s been hanging out at least since January, 2009. I don’t see it often though so it may spend most of its time somewhere else outside the park. You are currently browsing the Mokka mit Schlag weblog archives for March, 2010.